It might surprise you to hear that single-family homes in Los Angeles divert 65% of its garbage from landfills, thanks to the effort of over 450 gas-powered trash and recycling trucks. Unfortunately, the same cannot be said for the city’s 600,000 + apartment complexes, but change is in the air. While tenants of commercial buildings and apartments complain about the noise, emissions and congestion on local roads caused by the multitude of private waste trucks, the Bureau of Sanitation must balance their concerns with the fears of the waste haulers who currently compete for the 250 million dollar annual market in waste disposal. While it may take as long as a year before the City Council rules on the matter, two scenarios prevail: one in which trash haulers must bid to be the sole franchise to service parts of the city, and one in which any haulers who meet certain criteria can work in waste collection. Either way, both plans look to continue to promote recycling, extending current recycling programs to include every apartment complex in the city. In addition, the Bureau hopes to reduce the disparities in costs for recycling programs which may vary from building to building in the same neighborhood under the current system. It might surprise you to hear that single-family homes in Los Angeles divert 65% of its garbage from landfills, thanks to the effort of over 450 gas-powered trash and recycling trucks. Unfortunately, the same cannot be said for the city's 600,000 + apartment complexes, but change is in the air. 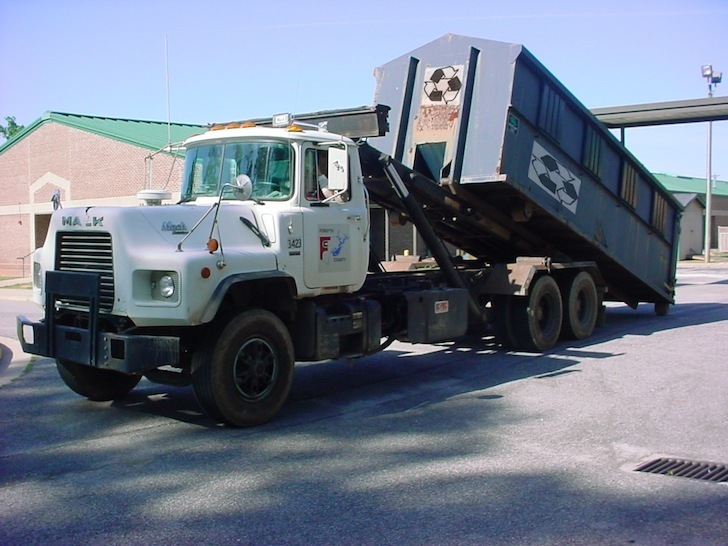 While tenants of commercial buildings and apartments complain about the noise, emissions and congestion on local roads caused by the multitude of private waste trucks, the Bureau of Sanitation must balance their concerns with the fears of the waste haulers who currently compete for the 250 million dollar annual market in waste disposal.